Open 365 days a year as well as ALL PUBLIC HOLIDAYS throughout the year. 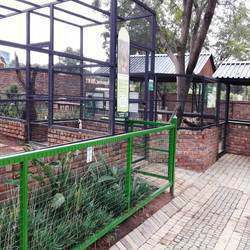 If you have ever wondered what it might be like to have your own private zoo, then visit Lory Park in Midrand, a haven nestled between Johannesburg and Pretoria. as part of its conservation endeavours. 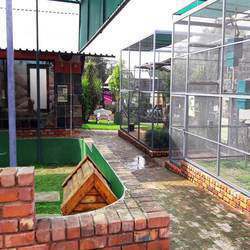 Lory Park has since expanded to cater for an assortment of exotic and indigenous mammals, reptiles and birds. who call Lory Park their home. 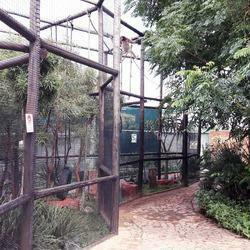 A personal approach to zoo keeping make Lory Park a terrific place for a family outing. Children and adults alike, will especially enjoy socialising with the birds in the tea garden or playtime with our cubs when available. During school holidays children are welcome to attend ranger days where they are able to learn about and participate in wildlife care. 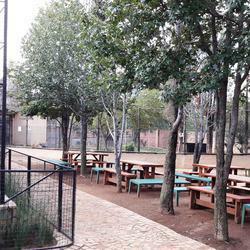 Ranger days: R160pp includes lunch from 8:00 to 16:00. Tuesday to Thursday. Community Service: R120pp from 7:30 to 16:00 Tuesday to Friday. 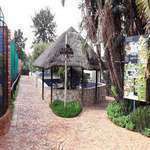 We have 4 different types of venues for occasions, all includes chairs, tables and table cloths. Special requirements can also be made upon request. 1. Big Lapa- R1000 for the day. seats 30 -100 people. 2. Small Lapa- R500 for the day. seats 20-30 people. 4. 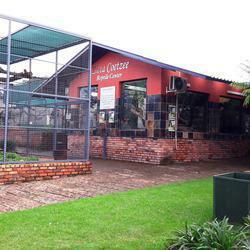 Braai/Picnic area- First come first serve. No charge.